Chromebooks aren’t supposed to cost a lot of money. That’s a big reason we like them! They’re always good enough, and they’re always cheap – think under £500. 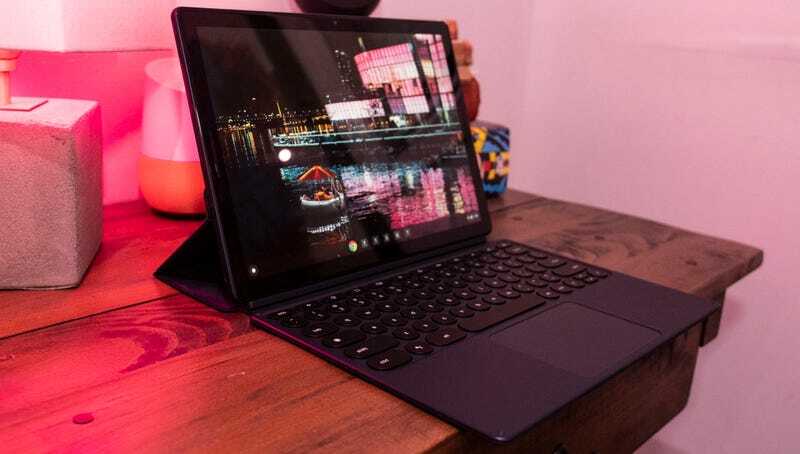 But the Pixel Slate, which carries the newest build of Chrome OS, has made a near perfect case for a pricier chromebook. 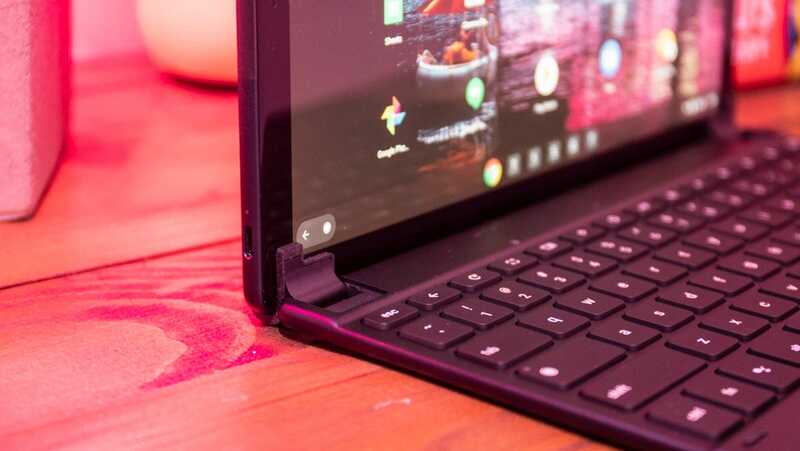 This tablet, which turns into a laptop with the addition of a £190 accessory, starts at £550 and often works so well as either laptop or tablet that it feels like its almost always worth the price. WHAT IS IT? The Google version of an iPad. LIKE: The Pixel Slate is cheap and Chrome OS is a perfect tablet OS. DISLIKE: The glass on the display is slippery and the keyboard cases could use improvement. Which isn’t normally the case! Google has a bad habit of making devices running Chrome OS that are too expensive for what you get. The price of Chrome OS devices like the Pixelbook (which launched at £1,000) and earlier Pixel Chromebooks has been especially egregious. We’ve liked Chrome OS devices in the past because they’re really good little computers for really low prices. Spending more for a Chromebook – even a fantastic one like the Pixelbook – just hasn’t made sense. What’s changed with the Pixel Slate is Chrome OS itself. It’s gotten so good that it stands up well to iOS and even, to a lesser extent, to Windows. Slowly but surely, Chrome OS is becoming an operating system worthy of the expensive devices Google produces for it – even if £1,000 is still too much money for a Chromebook. Which is why I should note that the specific Pixel Slate unit I reviewed is the £970 8th-gen i5 version with 8GB of RAM and a 128GB SSD. At near enough £1,000 I don’t think the Pixel Slate is worth it unless you use Linux heavily and want to take advantage of the Pixel Slate’s ability to support Linux out of the box. For most people, the £750 version with an m3 CPU, 8GB of RAM, and 64 GB SSD or the even cheaper £650 version with an Intel Celeron CPU, 8GB of RAM, and 64GB SSD, is worth considering. That’s because the Pixel Slate’s competitors aren’t other Chrome OS devices like the Pixelbook or the wonderfully affordable Samsung Chromebook Plus v2, but tablets with laptop aspirations like the iPad Pro and tablet-first 2-in-1s like the Microsoft Surface Pro, which start at £770 and £880 respectively. Like those devices, the Pixel Slate is sold as a tablet, with a keyboard case offered for extra. Like those devices, it’s not that great to use on your lap. 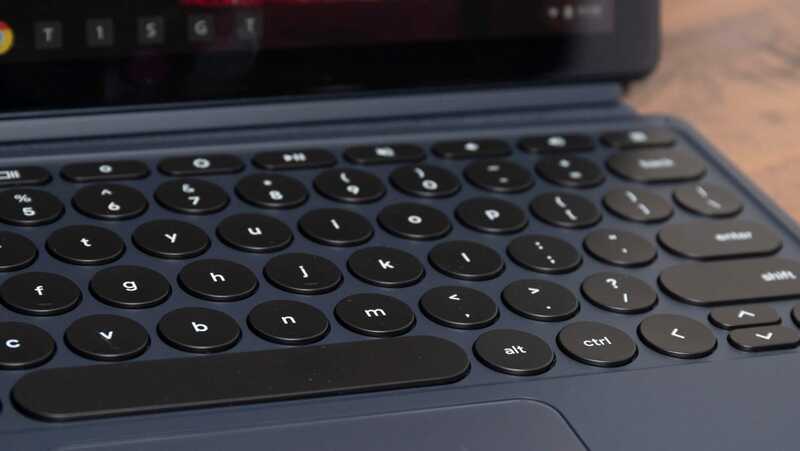 (There’s an optional £170 keyboard accessory that improves on lap performance versus the official £190 keyboard case, it just uses Bluetooth instead of the Pixel Slate’s magnetic keyboard connector.) Also, like those devices, you have to remind yourself that the real cost is the price of the keyboard more if you want to do any typing on the damn thing. 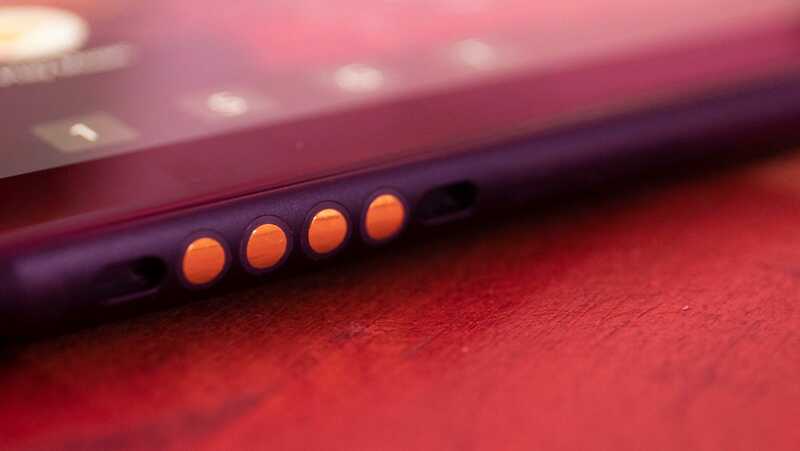 Google made a big deal about the rounded keys of the Pixel Slate, and they’re surprisingly nice, but still not as good as the old-fashioned SA-profile keys they’re designed to imitate. Also the keyboard cover takes up a LOT of space on a desk or lap thanks to the ridiculously large hinge. Look at all that excess fabric! The case uses this magnetic connector which is perfectly fine. So its very confusing that the alternative keyboard cover, which is much much much better on your lap, uses Bluetooth instead. But here’s what separates the Slate from the iPad Pro and Surface Pro: It really works as a tablet or a laptop. The other two don’t! 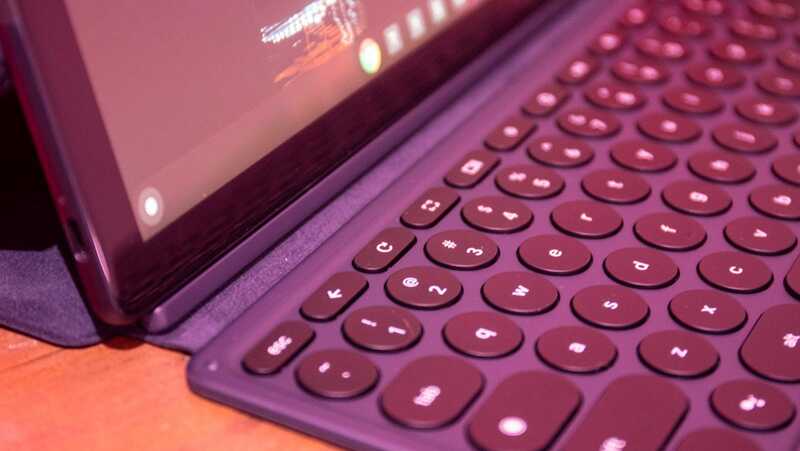 The iPad Pro is a perfect tablet, but its keyboard case and focus on touch input only make it a miserable substitute for a laptop, and the Surface Pro is a very cool laptop-like device, but Windows continues to be pretty abysmal when used in the touch-only mode that tablet use demands. The Pixel Slate, meanwhile, transitions so simply from a touch-focused tablet mode to a mouse focused laptop mode that you’ll be wondering how it took so long to get this right. I used the device for hours at a time as a tablet. As soon as I would flip the keyboard around back, the operating system smoothly transitioned into a touch-friendly mode with all my Android and Chrome OS apps available with a tap. As soon as the keyboard was back under my fingers, the Pixel Slate was back in laptop mode, returning to the more traditional Chrome OS layout intended for mouse and keyboard. And unlike Windows devices, it never, ever flubbed the transition. And I really tried to mess it up! But the Pixel Slate just gamely switched between the two modes, and it did it so well I found myself interacting with the Pixel Slate differently and using the touch mode even when the mouse was available. Generally, when I’m in laptop mode on a device my fingers rarely dart out to touch the display – instead, they stay on the keyboard and trackpad. On the Pixel Slate, I never thought twice about quickly tapping the display to open an app or swiping up to access the app drawer or notification panel. Incorporating touch and mouse input together feels natural thanks to the way Chrome OS keeps icons large and touch-friendly even in mouse mode – a design touch Windows 10 should consider copying. Which is kind of impressive when you consider just how slick, literally, the glass is on the Pixel Slate is. It has a 12.3-inch display with a 3000 by 2000 pixel resolution and a 293ppi, which is more pixels per inch than the newest iPad Pro (the 11-inch and 12.9-inch both have 264ppi) or the 12.3-inch Surface Pro (267ppi). The display is gorgeous, but the glass Google opted to enrobe that display in is surprisingly slippery, with the keyboard case sliding against it when closed, and my fingers and the £100 Pixelbook Pen gliding across it a little too quickly. Both the Surface and iPad opt for glass that’s got a little more texture to it, so your pen or finger don’t quite feel like they’re skating. 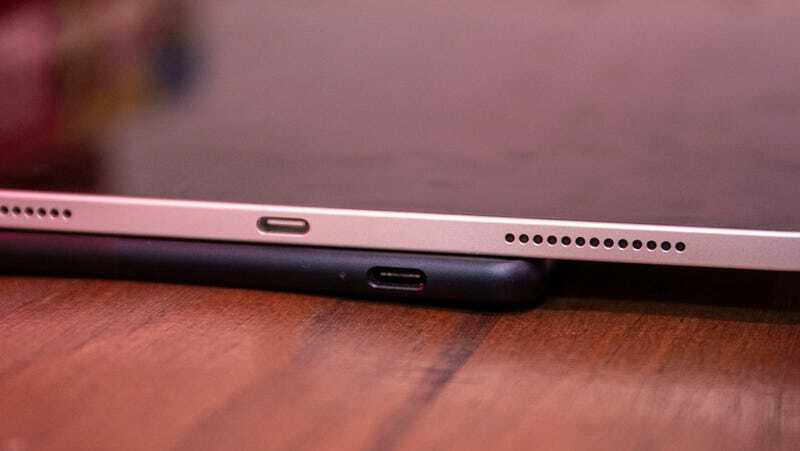 It powers via USB-C, much like the slightly slimmer iPad Pro. Performance-wise the Pixel Slate does well. More CPU-intensive software like what you’d find on the Surface Pro isn’t available – nor is the full version of Photoshop we use to test how fast the storage on a laptop is. But that’s fine because those apps aren’t available on the iPad Pro either. What is available is WebXPRT 2015 – a synthetic benchmark that runs the device through a series of tasks commonly performed in web browsers, like image resizing and spreadsheet work. There it scored 485, in line with other 8th-gen Intel products, a little higher than the Pixelbook’s 453, and well ahead of the iPad Pro’s 381. We have not yet tested the current Surface Pro and will update when we do. And anecdotally the Pixel Slate has been more than fast enough. It can run multiple tabs and cast a video to my TV and never really slow down. Like a good tablet, it simply works. And like a good tablet, it’s got solid battery life. 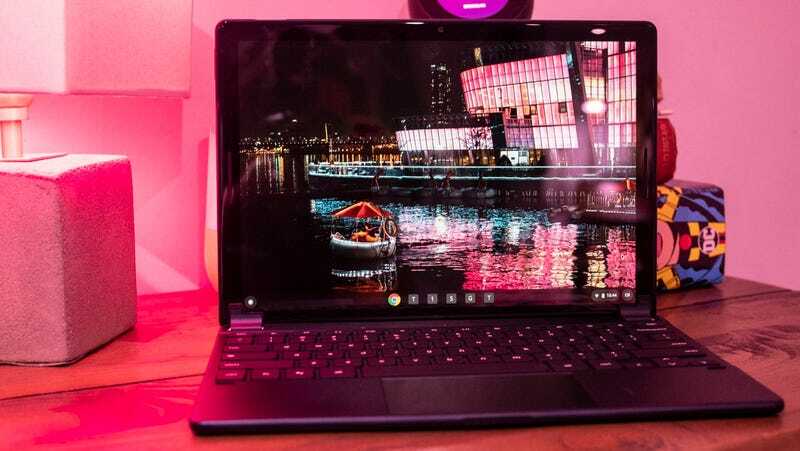 The Pixel Slate we tested last 10 hours and 48 minutes when streaming a YouTube video at a set brightness of 200 nits. That’s still below the iPad Pro – which lasted an exceptional 12 hours and 37 minutes, but it’s far better than the Pixelbook (8:53) or our previous favourite Chrome OS device, the Samsung Chromebook Plus v2 (7:42). Seriously the keyboard case takes up so much room on your desk. So would I recommend it over the iPad Pro? To a lot of people yes! Especially if you’re considering buying the iPad Pro, which starts at £770 for an 11-inch model and £970 for a 12.9-inch device. The Pixel Slate starts at £550 and moves between laptop and tablet mode much more smoothly, is a smarter choice. 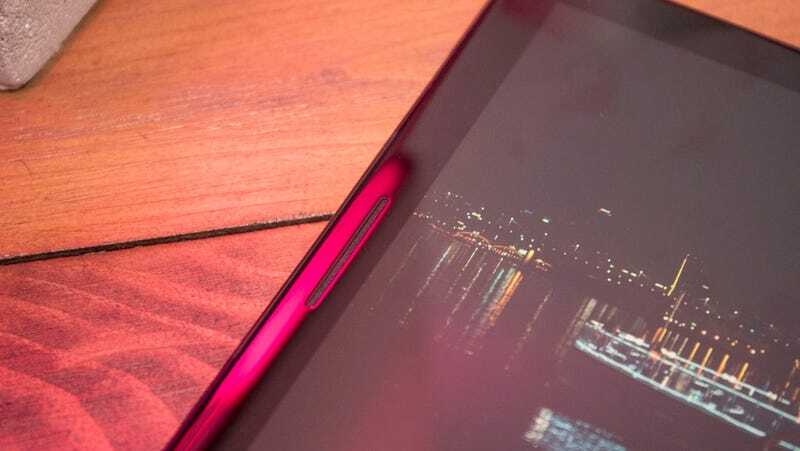 It’s an inexpensive tablet that doubles pretty neatly as a solid work device – though I’d suggest spending at least £100 more to go from 4GB of RAM to 8GB. The Pixel Slate does the jobs of a tablet so well that Apple should take note. And if you’re a Surface Pro acolyte who isn’t beholden to Windows, then the Slate is worth a look too. As for people who just want a good Chrome OS device... things are a little more complicated. The Pixel Slate may be great, but it’s still a tablet first! For laptop lovers, it just doesn’t make sense. The battery life isn’t as good, but the Pixelbook is certainly a superior device for laptop work, and much, much cheaper when you factor in the cost of a keyboard case for the Pixel Slate. But the Pixel Slate wasn’t designed to be a laptop. It was designed to be a 2-in-1 that functions best as a tablet, and on that front, it’s doing its job damn well. If you want a tablet and don’t want to deal with Apple, then this is it – the Pixel Slate is for you. But the cheaper Bluetooth case is quite nice. Reasonable battery life and performance are nice. But the changes to Chrome OS and the seamless transition from tablet to laptop mode is much nicer. However both keyboard cases are expensive and only so adequate, one isn’t good for the lap and the other requires a Bluetooth connection. Starting at £550 the Pixel Slate is a steal compared to the iPad Pro.